Hi! My name’s Finn! You might know me from my Instagram page! There’re a lot of pictures of me playing on there, aren’t there? Sometimes I play a little too hard! And when I do, I call TOLLER-TOW! The picture looks a little weird, kind of like he’s glowing. This is not the camera’s fault. This is what Finn looks like in person, too. 2 Responses to Hi! My name’s Finn! You might know me from my Instagram page! There’re a lot of pictures of me playing on there, aren’t there? How much for this dog? 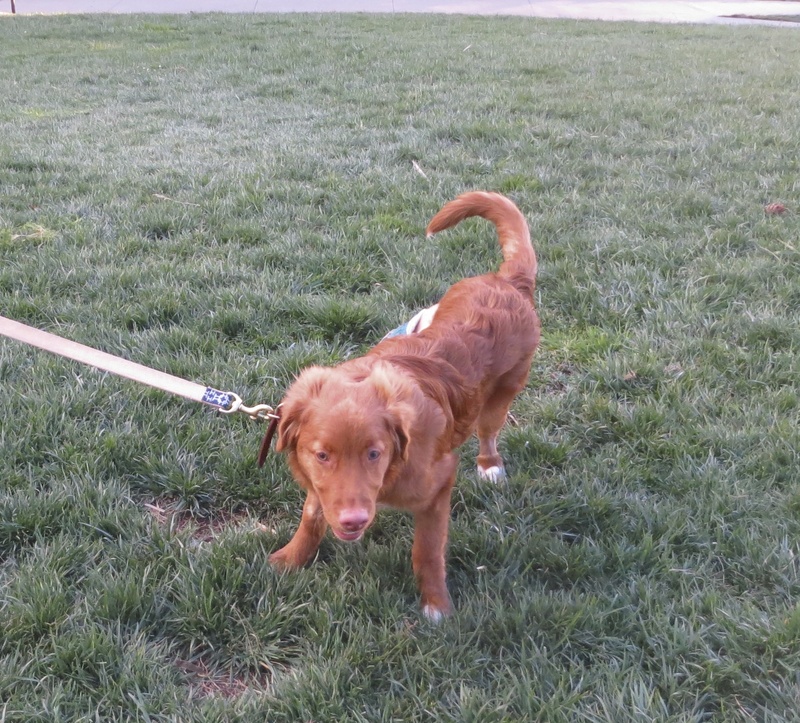 That’s Finn the Toller! He’s got a happy home in San Fran!